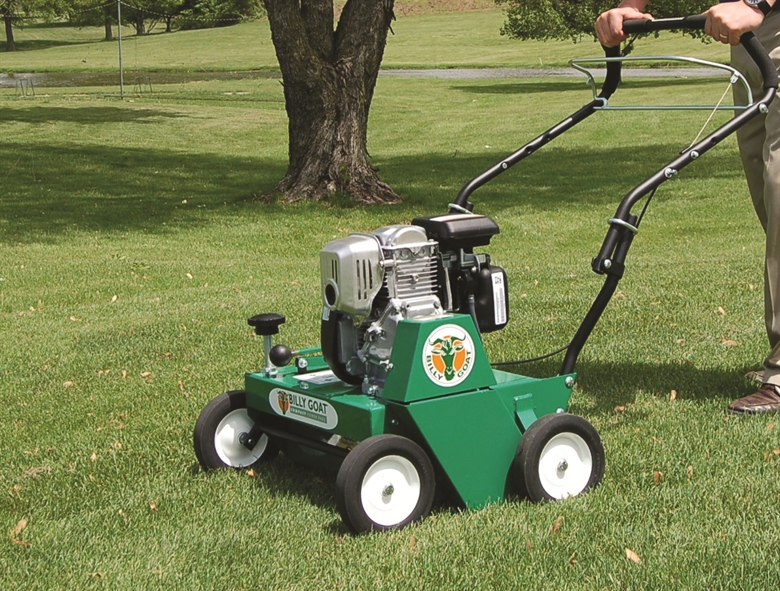 Billy Goat offers a wide range of outdoor power equipment to help you tackle both residential and commercial lawn care and landscaping work. Billy Goat is a premier manufacturer of outdoor property cleanup products like aerators, sod and brushcutters, blowers, and mowers. They were founded in 1967 on the promise of delivering innovative and high-quality products, and today they feature a complete line of product solutions for all your residential and commercial needs. Call or head into Wildwood Mower & Saw in Wildwood, Florida for a look at our full stock of new and used Billy Goat outdoor equipment. Our team of equipment experts will be happy to answer all your questions and help you find what you're looking for today. Billy Goat litter vacuums make clearing leaves and other debris as easy as could be, with innovative clean-up solutions for a slew of applications. Clear out open lots and yards of fallen debris, or unclog street drains and sidewalks of leaves. Billy Goat offers litter vacuum models both for residential and commercial work, so you can be sure there's a model fit for you! There's no leaf cleanup task that a Billy Goat blower can't handle. Up to 30% lighter than the competition and delivering up to seven times the power of a backpack blower, Billy Goat Force™ wheeled blowers are constructed out of smooth composite materials rather than normal steel housing. This makes them quieter and smoother in operation while still applying a powerful flow of air thanks to the proprietary Aim n Shoot™ technology. Investing in a Billy Goat brushcutter saves you time and money while providing the very best performance for taking down weeds, rough grass, and brush that your average mower just can't handle. Rough or hilly terrain? No problem. Billy Goat takes the chore out of brush trimming like no other product on the market, with their entire lineup of walk behind brush cutters making it simple to conquer the clean-up challenge. Billy Goat aerators lead the industry in advanced technology reciprocating aerators, including their innovative PLUGR® cam-driven core aerators and industry-first hydrostatic aerator. Billy Goat aims to raise the bar on high-quality, high-productivity commercial aeration, and their lineup of walk behind and implement equipment is proof positive of their success.